On occasion, I get an idea for a narrative scenario and it takes hold, distracting me from whatever hobby project I’m currently working on to do something to make that scenario a reality. This time it was a Horus Heresy void war mission – a small group of Imperial officials being evacuated from their vessel as the enemy fleet closes in, presumably ushering them to safety. A question of whether the defenders can sell their lives dearly enough to buy time to get across the board while the enemy presses in from all sides. Fortunately for my wallet, sanity prevailed and this didn’t end up with an order for a 6’x4′ Zone Mortalis board. And, thanks to apparently a broken mold, the Arvus Lighter where the finale of the mission would take place was also out of the question at the moment. But the narrative called, and so I went looking for suitable NPCs. One of many manufacturers that makes what we’ll call “40K-esq” miniatures, HITECH had an appealingly wide range of figures that would be suitable for NPCs. I chose five. Avoiding their clearly Space Marine Chapter-inspired lines (VIKINGS, MORBID ANGELS, ALL CAPS FOR THE CAPS GOD…), I selected the following figures, looking for figures that had character, and weren’t terribly heavily armed (the idea being that the NPCs might be a threat to a battered squad, but wouldn’t be able to turn the tide on their own. Cynthia Dell Ann (8€) from their “Congregation of Nuns” like, who looks very much not like a Battle Sister, and much more like an Imperial noblewoman wearing an exceedingly impractical hat. She gets bonus points for hiding a laspistol behind her back. Traveller Priest Dante (10€), the classic robed priest with a chainsword attached to a stick..
Soothsayer Sibilla (6€) to bring us to rough gender parity and to represent some of the slightly more mystic side of the Imperium – perhaps a high ranking Astropath, or a prominent Remembrancer. Royal Advisor Melchior (5€) who continues the “Impractical Hat” theme into the male realm. Negotiator Horatio (6€), a robed “adept” looking character with a single articulated stubber-like weapon coming from his back. These are far from the only ones possible – there were several promising tech-adept looking models, a few other priests and dignitaries, etc. but I decided that five would be enough for now. Note also that they all come with scenic bases, but I’ve decided to put them on deck plate bases. Ordering was quick and easy, just adding things to the shopping cart and away you go. Given at least one miniatures company I’ve tried to order from recently is much more like screaming into an uncaring void and maybe getting a Paypal Invoice back, it was fine. 6.99€ shipping anywhere in the world is nice, and at a flat rate it does mean some economies of scale kick in pretty fast – ordering one figure is pretty horrible, but five diluted shipping seriously. With shipping, that comes to an average of $9.94 based on current exchange rates, which isn’t bad, and comes in lower than most GW figures, and substantially lower than many of them. Shipping went flawlessly, and I got the figures earlier than I was really expecting to, finding them well packed in their box and each in a blister pack. Honestly, I love the design of the figures themselves. Because there’s not a whole lot of Imperial NPCs, there’s no real design aesthetic to compare them to, but I think they fit in the setting. And that’s not just the directly copied elements, like the bolt pistols and chain…polearm thing…but the feeling. Overburdened, baroque, with elements of technology incorporated in subtle ways and…well…a little bit absurd. Many of the details, especially around the weaponry, is a little bit chunky, as if the sculptor doesn’t quite know how to map the chainsword and bolter aesthetic of 40K weaponry onto slighter scale figures. 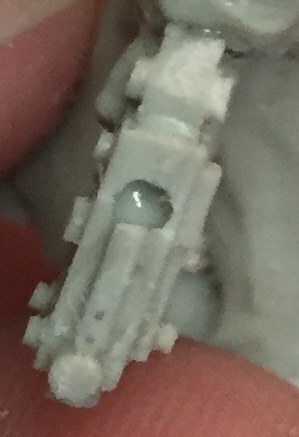 One of the tricky elements of 3rd party miniatures is scale. Games Workshop exists in an uncomfortable, and ever-enlarging scale of “somewhere between 28 and 32mm, with proportions that may or may not be realistic”, and getting those to match is sometimes uncomfortable. To evaluate this, I placed the most extreme figures, Cynthia and Horatio, next to a Victoria Miniatures Arcadian, a plastic Mk. IV Space Marine, and a Custodian. Somewhat pleasantly, the scales seem to work. While Cynthia is quite tall, she’s also physically slight in a way that compares well to the Space Marine, and given the nature of her hat, one might imagine equally architectural footwear beneath her dress affording her an extra inch or two. Horatio is a slighter figure, easily visually smaller than the Space Marine, and likely on par with the Arcadian, which is closer to Forge World’s Imperial Guard scale rather than the bulkier (and indeed somewhat monstrously so) Cadians. They’re also visually distinct enough that I think it would be hard to lose them if they were, for example, surrounded by a squad of Space Marines in a way where your opponent would have to hunt for “Who has the objectives”, which I think is important for figures-as-objectives. Casting quality is, sadly, somewhat less impressive. 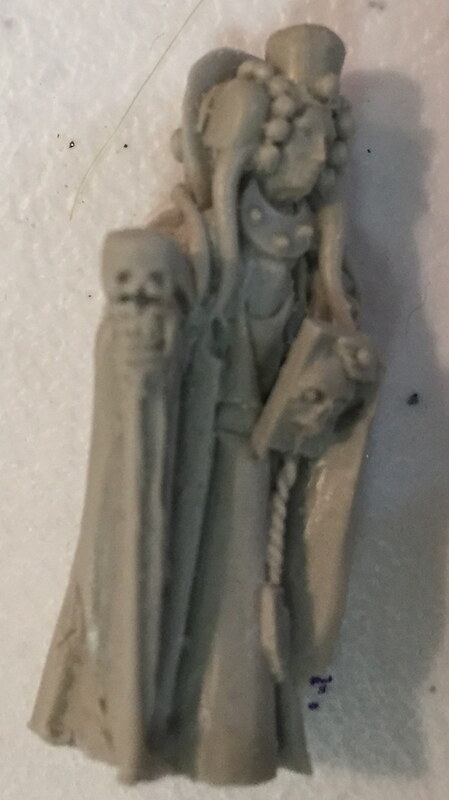 While there wasn’t much significant flash or gating, there were some bubbles, the skull on Sibilla’s staff is more…skull-reminiscent rather than anatomically correct, and the figures themselves are fairly rough in a way that’s difficult to clean up. There’s also some design oddities – a cable on Dante’s figure goes nowhere, and his staff tapers to a point. Additionally, for those used to modern GW figures, where everything fits just so these reminded me of the figures I built when I started playing back in 3rd edition – especially for some of the smaller pieces, you sort of just glue them roughly where the picture shows because there’s no obvious mounting point. Indeed, Dante has a backpack I simply discarded because I couldn’t make heads or tails of where exactly I was meant to glue it. HITECH has made some lovely character figures that I think work well as NPCs for narrative games set in the 40K and Horus Heresy settings, at a reasonably affordable price point. Given the rarity of what are, essentially, non-combat characters for a wargame, I think they’re worthy of consideration. That being said, the casting quality of these figures is middling at best. Better than some hobbyist and home-cast figures I’ve seen, but well below the quality I’d expect from even smaller miniatures manufacturers, though HITECH is hardly alone in this. And the problems were uniform enough on the figures that I don’t think it’s just the result of a flawed design, or a bad pour. For what are, in essence, glorified objective markers, this isn’t a problem, and I think HITECH is well worth a look. But for their lines that are clearly supposed to be substitutes for GW figures, and feature as characters in your army, those quality issues would give me pause, especially if you prefer more “plug-and-play” modeling projects. Overall? I’d give them a 7/10 for “non-critical” miniatures like civilians and objective markers, and a 5.5/10 for more mainline models. 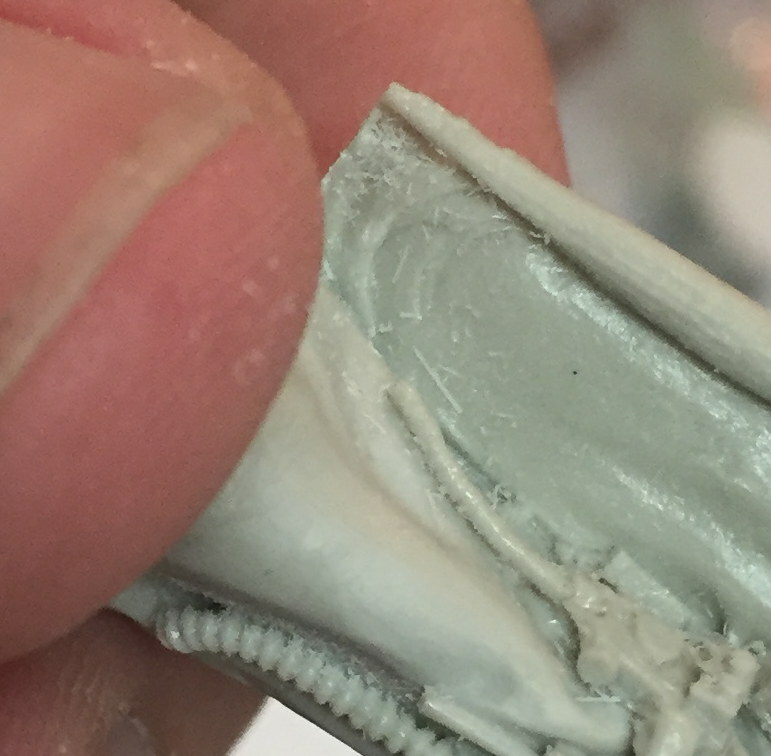 The designs are great, and mesh well with GW figures, but there are some nagging quality issues that stand in the way of a full-throated endorsement. Enjoy what you read? Enjoyed that it was ad free? Both of those things are courtesy of our generous Patreon supporters. If you’d like more quantitatively driven thoughts on 40K and miniatures wargaming, and a hand in deciding what we cover, please consider joining them.